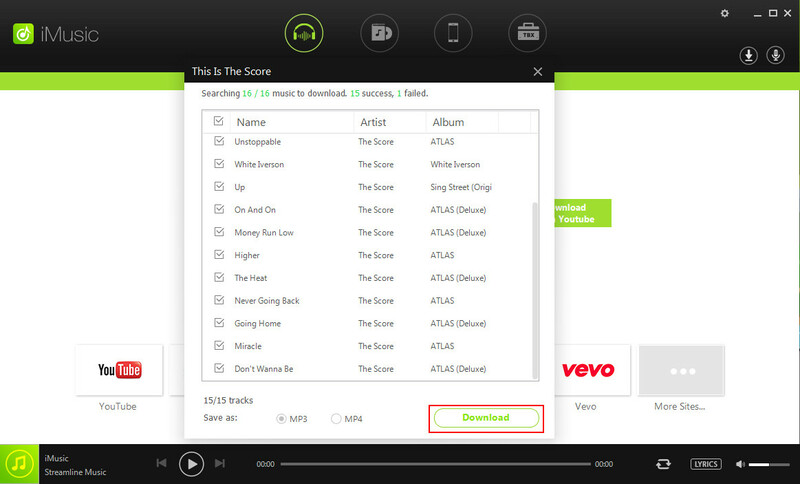 With Spotify updated to Premium, you are free to stream music on Spotify for certain duration. 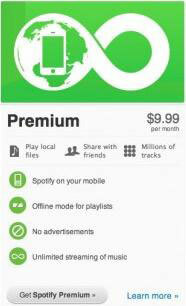 While you can search many methods through the internet to enjoy Spotify music for free without upgrading to Spotify Premium version. You can find music download tools to download Spotify music, or use Spotify Premium code generator which will take risk on your computer security. So how to get Spotify Premium codes for free safely? Here are the tricks and tips. Part 4. Is It Safe To Use The Free Code? Record songs from radio stations and other sources that you can't download. While recording songs, the software will get the identifications of the songs: artist, genres, name of the song, etc. Burn the downloaded songs to CDs or make a car-playlist with all of them. Before we get to the part about free premium codes, here is an overview of the features of Spotify’s different subscription types. 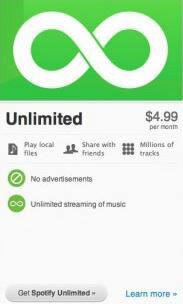 Spotify offers its subscribers a choice of three subscription types: Free, Unlimited, and Premium. With a Free subscription, you get access to more than 20 million tracks anytime, create your own playlists, browse playlists created by other subscribers and use the Discover feature which recommends tracks that you might like based on the tracks that you listen to. The downside to being a Free subscriber is that your listening is interrupted by extremely loud audio ads and you are only allowed to use the service abroad for 14 days, after which you need to login to Spotify in your home country to continue using the service. For $4.99 per month, you can avail of an Unlimited subscription. With an Unlimited subscription, you have access to everything you had as a Free user, minus the ads with the added benefit of higher quality tracks and the ability to use the service abroad without limits. Finally, $9.99 per month will get you a Premium subscription. As a premium subscriber you get access to exclusive content, early releases, and even higher quality tracks. Not to mention, being able to listen to your playlists offline and of course, no ads! 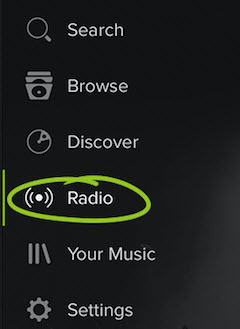 You also get access to the Spotify Connect feature that lets you stream your music to any Spotify subscribed device in your wifi network. Pros: Free. Access to millions of songs. Create customer playlists. Connect with your friends via social media. Cons: Streaming service only. Ads. Limited to Spotify’s service area. Pros: Ad-free. Higher sound quality. Can travel anywhere and access your Spotify content. Access to millions of songs. Create customer playlists. Connect with your friends via social media. Cons: Streaming service only. $4.99 a month fee. Pros: Ad-free. Highest sound quality. Offline access mode. 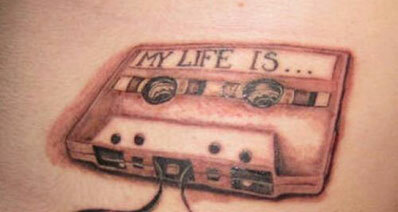 Access to millions of songs. Create customer playlists. Connect with your friends via social media. Cons: $9.99 a month fee. Spotify is awesome enough as a free user. But let’s face it, those audio ads are annoyingly loud, blasting your eardrums to shreds just as you’re falling asleep from a particularly relaxing Michael Bublé song. And wouldn’t it be cool to be able to listen to your playlist even without an internet connection? Why not subscribe to Spotify Premium? Unfortunately, not everyone is willing to shell out $10 a month for these benefits. There are a number of sites that claim to provide free Spotify premium codes. The problem with these sites is that not all of them are real, some may even infect you with malware. 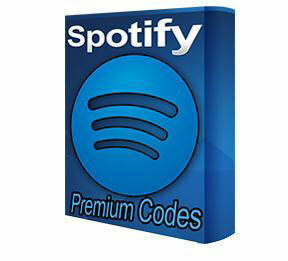 Below, we check out a few of these sites that claim to provide free Spotify premium codes. Are they real? Let’s take a closer look. This site guarantees a working Spotify premium code in less than 24 hours. To get the code you need to download and install a code generator with options to generate a code for a 1 month, 3 month, 6 month, and 12 month premium subscription. Code generators, also known as key generators or keygens, are programs that are used to create a unique code (i.e. license codes, serial numbers) that you can use to activate certain software. Legitimate keygens are used to generate licensing keys for corporate use while the illegitimate ones are usually used to generate license keys or serial numbers to activate pirated software. In this case, the code generator is used to generate an illegal premium subscription code. Note: Illegal installers and code generators are usually infected with viruses, trojans, and keyloggers, install at your own risk. This is a very simple site with fields for your email address, name, and country. Filling up the fields and clicking on the “Generate Code” button sends you an email containing a link to verify your registered email address. Clicking on the link redirects you to a page asking you to share the site on Facebook. Sharing the site then redirects you to a download page that asks you to complete an Entertainment Factory survey to unlock your download. For those who aren’t familiar with Entertainment Factory, they are a survey site that asks for your mobile number at the end of their surveys. They then spam your mobile with useless SMS. Did I mention that you pay for all the SMS they send? Needless to say I wasn’t about to give them my mobile number in exchange for a code. This site claims to have discovered a loophole in the subscription process, allowing them to generate Spotify premium codes. Once you click the download link, you are redirected to a fortune telling service that asks you for your personal details and email address. Once you sign up, you are sent an email from the fortune telling service but no code is given. By the way, my antivirus software flagged the fortune telling site as a malicious site. 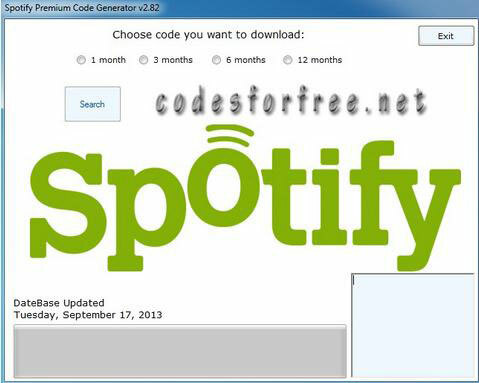 This website not only offers a code generator for a Spotify premium subscription, but other programs as well. They also advertise code generators like a Microsoft Points Generator for Xbox users, a Riot Points Generator for League of Legends players and a key generator to play Elder Scrolls Online. The site also contains hacks and cheats for Candy Crush Saga, Clash of Clans, and the popular Flappy Bird game. 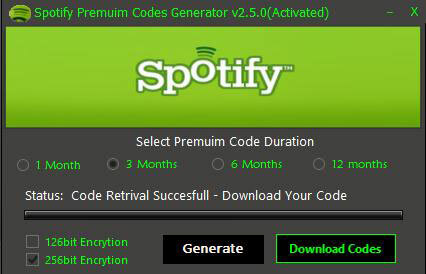 To acquire a Spotify Premium code, you need to download and install a code generator with options to generate a code for a 1 month, 3 month, 6 month, and 12 month premium subscription. Again, install at your own risk. This site claims to have discovered an algorithm or formula which will allow you to create unique premium codes yourself without using a code generator. They will give you access to the algorithm once you complete a few offers from their sponsors. Once you click on the download link, you are redirected to yet another list of Entertainment Factory surveys. 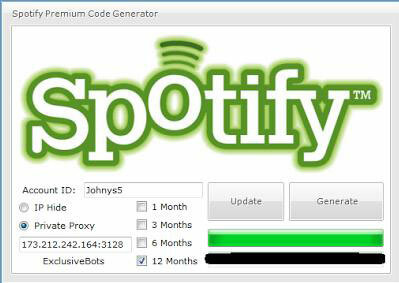 This site claims to offer a working Spotify Premium code generator that is free for a limited time. The site requires you to download and install a code generator to generate working codes for a free Spotify premium subscription. This site is another one that asks you to install and download a code generator the site is well made and seems to be the real deal. They even offer software updates, 24/7 product support with versions for Mac and Windows. This site is another site that automatically redirects you to an Entertainment Factory survey. This does not seem to be a legitimate site and would likely cause you way more headaches than the free code is worth. It should be avoided, along with any other Entertainment Factory site. This site claims that its codes are all free and from legitimate sellers. The codes are purportedly free of harmful data and yet instead of being able to access them directly, you are redirected to yet another Entertainment Factory survey. Because of that, it would appear that this site is not legitimate. This site reports to have a code generator that you have to download and install before you use. It is not necessarily the best idea to download unknown software of your computer and it is unclear whether anyone has actually had any success with this site or if it is malware. Most of these sites ask you to sign up to a free service or newsletter in exchange for a free Spotify premium code. Not surprisingly, once you sign up, no code appears nor is one sent to your email as some of them claim. Others send you on a wild goose chase for that ever elusive “code”, making you sign up for one service after another. A few ask you to download and install a code generator which, again, doesn’t work. Bottom line, nothing is free especially when it comes to the internet. If it’s too good to be true, it probably isn’t. Call me paranoid but any website that offers something for free deserves a closer look. While there are some legit sites that make money through ads (just resist the urge to click them though), most install tons of malware on your computer. And unless you want to receive spam email for life, I advise against signing up to newsletters or services in exchange for free codes. Also, do not, under any circumstances, install code generators, as mentioned above, these may contain viruses, trojans and keyloggers which you definitely don’t want infecting your machine. In answer to the question: is it safe to use the free code? Probably not. Try Spotify 30 day trial to decide if you need it. If you really want to a premium subscription but don’t want to shell out cash, be on the lookout for Spotify promotions. 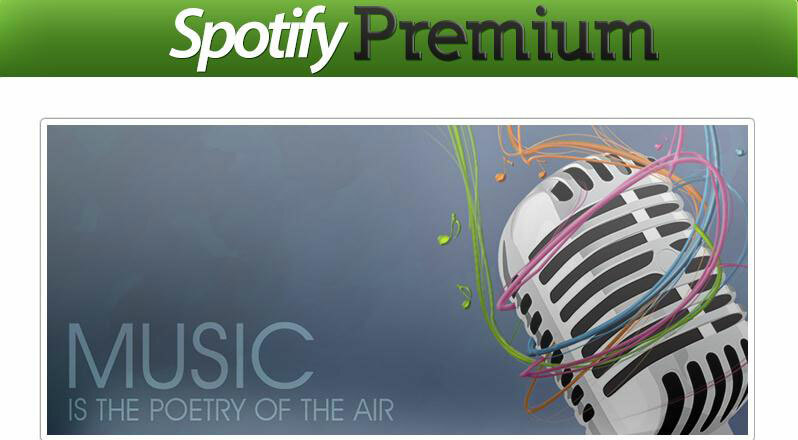 Spotify, offers you the chance to test drive their premium subscription for free. This promo is offered at varying lengths depending on Spotify’s marketing campaigns. Currently, the free trial is at 30 days but there have been times when they have given out free trials that last 6 months. Just remember to terminate your subscription before the trial ends if you decide that it isn’t for you. 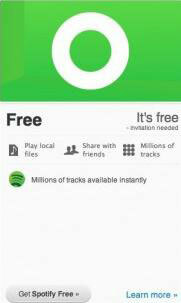 How-to > Streaming Music Services & Sites Tips > Is It Possible to Get Spotify Premium Codes for Free?